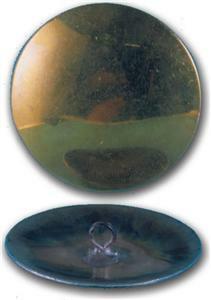 Highly Polished - Old-style domed discs with soldered loops on back and made of brass. Use for concho belts, drops, hair plates, rosettes, etc. Note: These are only available in solid brass.